The Hogs Back Ultralong will be held on 5 May 2018 in the Craigieburn Forest Park in the South Island of New Zealand. The event will form the first race of Round 3 of the Superseries, and is followed by an OY at Acheron the next day (also part of Round 3). The two events are also the secondary selection trial for the NZ JWOC team. Whilst this event is aimed predominantly at elites (the only courses available will be long red), anyone is welcome to enter and compete. Pre-entry is required by 22 April and is available here. There shall be four courses available at the Ultralong, all “red” difficulty. Distances and climb shall be determined closer to the race date. The kilometre rates for the four respective grades from the previous event on the map, the 2016 South Island Champs, have been shown. Start times will be from 11 am so arriving in Christchurch early on Saturday morning should give sufficient travel time. PAPO have booked the Cheeseman Forest Lodge for the night of Saturday 5 May (night after the Ultralong). This will significantly reduce the amount of driving for those travelling to the OY at Acheron on the Sunday. It will also be a great opportunity for competitors to stay together and be social. The accommodation is located at the event centre for the Ultralong. Book your accommodation through the race entry form. The Forest Lodge sleeps 38 and comprises several bunk rooms. People will need to bring their own bedding. A communal kitchen is available, along with hot showers. The costs are $30 per senior, $20 per junior. Camping will be available, but only once the beds inside have been filled, at $10 each for both juniors and seniors. Online entry is available (HERE) and must be completed by 22 April. Accommodation is booked through the entry form. It is also possible to enter for the OY the following day through the entry form. Payment information is provided when you enter, please ensure you pay for your accommodation and entry prior to 22 April. International competitors may pay on arrival to simplify payments. Entry fees are the same as for regular PAPO events; $12 for seniors, $6 for juniors. These costs apply to each race (Ultralong and OY). Payment should be made into the PAPO Bank Account (03-0823-0425931-00) by 22 April. Please include your surname as a reference. 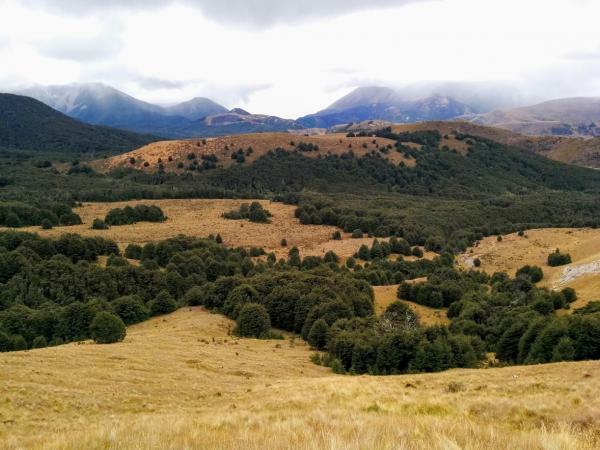 The Hogs Back map is a subalpine area with a mixture of mature beech forest and open tussock. The elevation ranges from 700m to 1200m above sea level. Large flat areas are dissected by steep valleys and ridges. The beech forest offers a range of runnability, from open mature forest with running speeds < 4min/km to extremely thick areas of regrowth. There are some isolated areas of limestone rock detail. The map has been extended since its last use. PDF copies of the maps from the South Island Champs Middle Distance and Long Distance, which were held on the area in 2016, are available to download by clicking on the link: Long Distance (2.3MB) and Middle Distance (1.3MB). 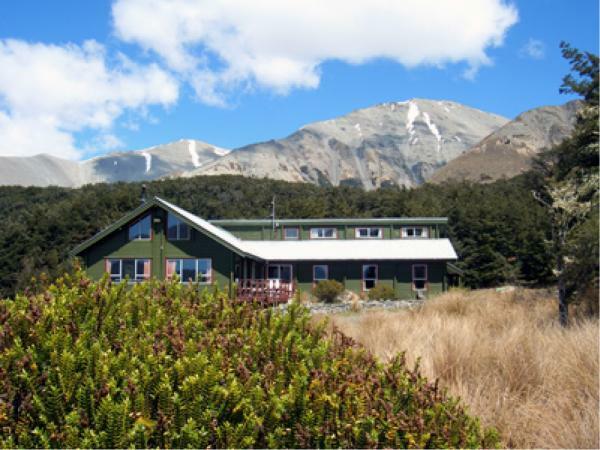 The event centre for the Ultralong will be the Cheeseman Forest Lodge (Google Maps). This is accessed along the gravel Mt Cheeseman Skifield Road which is suitable for 2wd vehicles. Allow 1 hour and 30 minutes from Christchurch International Airport. Start times will be from 11 am so arriving in Christchurch early on Saturday morning should give sufficient travel time. May in the Castle Hill Basin can be extremely varied. Generally, the area is quite isolated from wet weather systems but being a subalpine environment, snow may fall on the terrain, it could be extremely wet or even very hot and sunny. Please be prepared for any conditions. South Island orienteers are generally pretty hardy folk and if the weather forecast is looking wetter/colder than what you hoped, throw on a thermal and enjoy the experience. There is no such thing as bad weather, only bad clothing. The beech forest in the Craigieburn Forest Park in recent years has been subject to large wasp populations. Extensive baiting operations have been run but the wasps are still present. The wasps should not be an issue in May – it is generally over the summer that they pose problems – but be aware of this if you think you may be allergic. The event will be run using SI timing. Please see an official on the day if you are unfamiliar with this and require instruction. SI cards will be available for hire ($3).